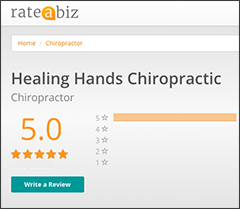 Dr. Tracy Malton, of Healing Hands Chiropractic, LLC, has practiced since 1998. Treating patients' muscular and alignment conditions is only one aspect of her approach. Being an expert in her field, she specializes in difficult and chronic conditions. Through Healing Hands' belief of love and respect, patients are neither rushed nor have their time wasted, and emphasis is placed on overall wellness. Other medical problems and chronic illnesses significantly benefit from chiropractic care. Adults suffering from headaches, migraines, digestive issues, lupus, and infertility and children handling bed wetting, acid reflux, asthma, and chronic ear infections may find relief through a combination of chiropractic treatment, exercise, and lifestyle changes. Unlike standard medical treatment, chiropractic care targets the source of the problem, rather than settling for a solution that reduces but does not eliminate pain. If such treatment could benefit your condition, contact Healing Hands Chiropractic, LLC for a free consultation. X-rays, offered on premises, may be requested.